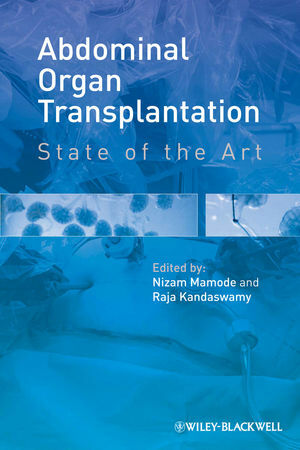 This book summarizes the latest developments in key areas of the fast moving field of abdominal organ transplantation. It covers such vital topics as living donation (both renal and liver), laparoscopic and robotic techniques, islet and pancreas transplantation, non-heart beating transplantation, blood group incompatible and highly sensitized transplantation, high risk transplants, tolerance, stem cell therapy and novel immunosuppressive techniques. Each chapter offers an overview of the available evidence by a world renowned expert, written in an accessible, easy-to-read manner. Nizam Mamode is Consultant Surgeon in the Renal Unit at Guy's and St Thomas's Hospital. He specialises in kidney and abdominal transplantation surgery. He has practised in leading centres worldwide including the United States (Minnesota)and Spain (Barcelona). He also works at Great Orrmonde Street Hospital performing pediatric transplant surgery. Mr Mamode is a Councillor of the British Transplant Society. Dr Raja Kandaswamy is Associate Professor and Transplant Surgeon at Amplatz Children'S Hospital, University of Minnesota, Minneapolis, USA.